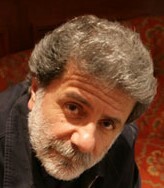 Marcel Khalife – Activist musician. UNESCO Artist for Peace Award 2005. Marcel Khalife will perform songs of protest, peace and poetry at the Royal Northern College of Music Manchester on Sunday 3 April.